Nelson Mandela shakes hands with Frederik de Klerk, 1992. Antiracist iconography is focused on past struggles, like the fight against apartheid. Yet the world is now a very different place (source). After five centuries of growth, the European world is contracting, and this contraction is visible not only overseas—in Johannesburg, Sydney, and New York—but also in Europe itself—in London, Paris, and Oslo. Yet this new reality is scarcely visible in antiracist iconography, which is set in the heroic age of past struggles. For some, the high point was the anti-apartheid struggle of the 1980s. For others, it was the civil rights era of the early 1960s. For others still, it was the last world war. When a French magazine interviewed Pierre-André Taguieff about his newly published dictionary of racism, the interview was accompanied by photos of the usual suspects, including one from apartheid South Africa. Yet that country has been under black rule for almost two decades now. Yes, it’s been that long already. This is one point that Pierre-André has been raising. The world is now a changed place, yet antiracism has failed to adapt. Worse still, antiracists fail to see the perverse effects of this failure to adapt. The solution, however, is not to abandon antiracism, but to reform it. For Pierre-André, antiracists need to rediscover their libertarian roots. At one time, they were “on the side of anti-conformism, of spiritual rebellion. The Dreyfusard intellectuals fought with the arms of intellect, in the name of universal values (Justice, Truth), against official prejudices and dominant ideas” (Taguieff, 2013, p. 66). 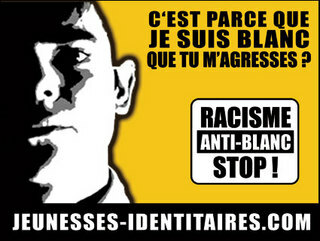 In addition, Pierre-André argues that antiracists should do more to condemn racism against Whites. This attitude, bordering on denial, is not wholly unjustified. First, let’s suppose that the antiracist movement does recognize the existence of anti-White racism. Overnight, its purpose would shift from primarily one of changing the behavior of Whites to primarily one of changing the behavior of non-Whites, especially people of African or Muslim origin. For those are the people who perpetuate most acts of interracial violence. Could most antiracists handle such an about-face? This was a lesson I once learned … the hard way. When my family moved to a town of largely Scots-Irish heritage, I had to deal with a more aggressive environment at school. For a while I felt like the other boys were singling me out. Actually, their violence was just following the path of least resistance. Things got easier when I learned to fight back, although “fighting back” wasn’t just self-defense. It was also preemptive violence. And collective violence. It could also mean provoking a fight when the odds were in your favor, as opposed to letting the other guy choose the moment when the odds were in his favor. That kind of violence will not be remedied by antiracist education. Imagine a “youth” who wants to beat someone up—either for an initiation or just for the fun of it. He settles on an easy target, a person who won’t fight back, a White. How can antiracist education stop him from acting out his thoughts? By teaching him that White passivity is a baseless stereotype? By making him feel guilty? By appealing to his sense of justice? Such a strategy works with a population that considers violence unacceptable, unless permitted by some higher authority and sanctioned as “just.” In Western Europe, however, that kind of population isn’t the one that’s committing the interracial violence. The problem here is the lack of a common rulebook. Although many ‘New Europeans’ see violence as a legitimate way to settle a personal dispute, their countries of origin are often surprisingly peaceful. The reason is that any act of violence will trigger retaliation by the victim’s brothers and male relatives, and this retaliation will be visited not only on the perpetrator but also on his own family and relatives. The result is a “balance of terror” that ensures some degree of social peace. The situation changes, however, when the same people move to a society that imposes nothing worse than a prison sentence on violent criminals and no punishment at all on their families. The result? In France, between 60 and 70% of prison inmates are Muslims, mostly from North or West Africa, although they make up only 12% of the total population (Moore, 2008). In Spain, they account for 70% of prison inmates but only 2.3% of the total population (WikiIslam, 2013). In Belgium, they make up 45% of prison inmates (Sudinfo.be, 2013). In all three cases, “Muslim” is a rough proxy for “people from clan-based societies that have been weakly pacified by a higher authority.” This proxy has the disadvantage of excluding some groups that shouldn’t be excluded (Christians and animists from parts of Africa). It also applies more to some Muslim groups (e.g., Somalis, Afghans) than to others (e.g., Egyptians). It is difficult to discuss the above prison data in polite society. One has the impression of breaking a taboo, of saying something reprehensible. In polite society, violence is a last resort and done only under duress. Surely, those facts are exaggerated, if not fraudulent. The riots nonetheless account for only a small part of the underreporting and underpunishment. In England, France, the Netherlands, Norway, and Sweden, there are now many ‘no-go areas’ or zones de sécurité prioritaires where the police go intermittently or not at all. Pierre-André is to be commended for criticizing the double standard that governs discussion of interracial violence. Nonetheless, this double standard is not wholly unwarranted. When Whites are the victims, the motives are less apparent, often being only a perception that Whites are easy targets. Even when the motives are clearly racial, if not racist, it’s unclear how they can be eliminated. Antiracist education would be of little use. Most of the educational material has been designed for Whites, with a view to making them feel guilty about the injustices they and their ancestors have done to non-Whites. If the target audience is now Muslim and African, we might get the reverse of what we want. We could actually end up inciting race hatred. Yes, more balanced educational material could be produced, but how effective would it be anyway? Would appeals to feelings of guilt have the same effect on people who make less use of guilt in their own cultures to restrain wrong behavior? And who furthermore tend to define “wrong behavior” in non-universalistic terms, i.e., as whatever is bad for their own group? In any case, wouldn’t the target audience perceive such education as just “enemy” propaganda? Keep in mind that a low-grade insurrection is already brewing in many Afro-Muslim communities of Western Europe. So what will be done? I suspect antiracists will acknowledge the existence of anti-White racism and take some steps to fight it, if only to remain credible. We’ll then see frantic searches for the masterminds behind such violence (Islamists? Cultural Marxists?). By and large, this ‘reformed antiracism’ will come to nothing. The situation is eerily similar to that of Eastern Europe in the 1980s. Minor reforms produced disappointing results and tended to make other problems worse. Major reforms were not attempted because they might get out of hand … as they eventually did. So a consensus developed to muddle on, in the hope that things would sort themselves out … which they didn’t. Taguieff, P-A. (2013b). Dictionnaire historique et critique du racisme, Paris: PUF. Are you assaulting me because I’m White? How do you react to this poster? Is it antiracist or racist? Why? The word “racist” is so common today that you may have trouble imagining a time when neither the word nor the concept existed. Yet such a time did exist, and not so long ago. All of this changed with the Second World War. At first, the word “racist” was used mainly in postwar Europe—as part of the effort to root out ex-Nazis and their collaborators. Bit by bit, however, it became more widely used elsewhere, particularly in the contexts of race relations in the United States and colonialism in Africa and Asia. It also began to appear in the emerging context of Afro-Asian immigration to Western Europe. “Racists” were no longer Nazis. They could in fact be people who had valiantly fought against Nazi Germany. Yet there were certain unspoken limits. By and large, this word was not directed against non-Europeans. Even today, it just doesn’t sound right when applied to a man with brown or black skin, no matter how intolerant he might be. A racist should at least look like a Nazi. What can be worse than racism? The question would have been incomprehensible a hundred years ago—and not just because the word didn’t exist yet. The underlying concept didn’t exist. People did not consider it sinful to prefer the company of their kith and kin. Nor did they consider it unfair to judge non-kith and non-kin by a higher standard. Such individuals existed outside one’s moral community and could not be trusted to the same degree as someone within it. So where’s the unfairness? And where’s the sin? 1. The first author to use the term raciste seems to have been Leo Trotsky in his work Histoire de la revolution russe (1930), in which he applied it to traditionalist Russian slavophiles. During the late 1930s, and with the rise of Nazism, it became much more negative than the German term it had originally translated, so much so that a German anti-Nazi, Magnus Hirschfeld, introduced it into German for his work Rassismus. His book then appeared in English translation under the title Racism (1938). This was the first appearance of the term “racism” in the title of a book, and it was really at that point in time that it entered the language of academics and political activists (Taguieff, 2013, p. 844; Wikipedia, 2013). Taguieff, P-A. (2013). Dictionnaire historique et critique du racisme, Paris: PUF. Something is happening in France. Will this “Paris spring” end up like the Prague Spring of 1968? Or more like the Velvet Revolution of 1989? One thing is sure. There is a greater willingness to speak out on various taboo subjects, one of which is race and racism. This may be seen in a soon-to-be-published book, Dictionnaire historique et critique du racisme, which shifts the spotlight of critical analysis from racism to antiracism. Its editor, Pierre-André Taguieff, chooses his words carefully. As he points out, “antiracism” is not just a word but also a norm, and one cannot objectively describe a norm without offending those who feel bound by it. To be objective is to blur the distinction between Good and Evil. Pierre-André resolves this dilemma by arguing that antiracism has violated its own stated norms. It has abandoned its original values of doubt, debate, criticism, and free enquiry. It has moved out of the academy and into the police department. It has become the antithesis of what it once was. [Since WWII] Western antiracism has taken the form of an ongoing anti-Nazism, or of a neo-anti-Nazism in search of "neo-Nazis" who are believed to carry the racist ideology. Hence the temptation to "Nazify" all phenomena perceived as being racist, beginning with nationalist movements of whatever sort. Shaped by anti-Nazi activism, the antiracism of the 1950s to 1970s was governed by the conviction that racist views [thèses racistes] were errors due to ignorance or to the power of prejudices, errors that scientists could and must rectify after denouncing them. When not a villain, a racist could be only an ignorant person, a man who was misleading himself or who had been misled. The good news of antiracist activists could be summed up in one sentence: racism was not in any way “scientific.” Antiracism was defined ideally as a fight that the Enlightened were waging against the darkness of ignorance or false ideas—the historical incarnation par excellence being the racism of the Nazis and the racism of colonial regimes (during the era of decolonization). This antiracism, incarnated by the authorized discourse of biologists (and geneticists in particular), has thus long dominated antiracist practices since the first UNESCO declarations in the early 1950s. “Scientific” antiracism embraced an ideal that flowed from rationalist humanism: through instruction and education, we shall create a world where, with the disappearance of errors, prejudices, and illusions, racism will survive only as an archaism, a relic of the past, a past we have fortunately transcended. This faith that racism will inevitably wither away seems to have evaporated. Antiracist activism has gone from historical optimism to anthropological pessimism. If the racist is no longer an ignorant person but rather a villain, and if he is defined by his impulses or negative passions (hate, aggressive intolerance, etc. ), then the evil is in him, and his case seems hopeless. The antiracist’s task is no longer to lead the "racist" towards goodness, but rather to isolate him as a carrier of evil. The "racist" must be singled out and stigmatized. The task is now only to make him powerless by imposing legal penalties, at the risk of reestablishing ideological censorship and limiting freedom of expression. […] With racism being illegal and illicit, and with antiracism now part of a legally enforced system of values and norms, antiracists have also ceased to stand for criticism and questioning. Through a related process, antiracist organizations are no longer functioning as an opposition to authority. They are surreptitiously becoming the underlings [auxiliaires] of authority. Like Pierre-André, I was once involved in the antiracist movement. Like him, I deplore the totalitarian turn it has taken. I am less sanguine, however, about the prospects for returning it to its original values. Once antiracism had secured a monopoly over intellectual discourse, it no longer needed to engage in intellectual debate, and its priority naturally became one of maintaining this monopoly. Why should antiracism now jeopardize its privileged status by engaging in self-criticism and allowing debate, or even doubt? To be true to its original values? But those values were situational, a compromise between long-term goals and the realities of the moment. Circumstances change, and it’s not at all unusual for an ideology to go from a libertarian stage to a totalitarian one. Yes, the reverse can also happen … sometimes. In such cases, however, the real reason is not a desire to return to original values. It’s a growing conviction, particularly among the intelligentsia, that something has gone terribly wrong and that a change in direction is imperative. Typically, the only way to legitimize the new direction is to make it seem consistent with original values. That strategy worked well enough inside Czechoslovakia. Outside, not so well. The Prague Spring was brutally crushed by the other members of the Warsaw Pact. For the next twenty years, that country’s leaders, like those elsewhere in Eastern Europe, maintained the status quo by making consumer goods more available (at the cost of a growing mountain of debt) and by controlling intellectual dissent more effectively. Which scenario will play out in France? An abortive Prague Spring or a more promising Velvet Revolution? Much will depend on what goes on in the minds of our antiracist friends. When I ask them about the need for debate and self-criticism, I typically get a blank look. Debate? What is there to debate? Criticism? What is there to criticize? Most of them prefer to think in terms of stricter control and surveillance. If France, or any European country, does abandon globalism, or simply moves away from it, they will be clamoring for intervention by an outside power. Just like in Prague, 1968. Much has been made of radical Islam and its role in shaping the mental makeup of the Tsarnaev brothers. During their formative years, however, they were scarcely even nominal Muslims. Although their father was Chechen and their mother Avar (another Caucasus nationality), the language spoken at home was Russian, and their culture was the secular and increasingly Westernized one of late Soviet society. At that time, the cultural referents were largely those of the 1980s: heavy metal, New Wave, and Michael Jackson. Religious radicalization would not begin until much later, after their family had emigrated to the U.S. and specifically in 2008 when the older brother, Tamerlan, stopped drinking and smoking and started attending a local mosque (Wikipedia, 2013). Already, however, Tamerlan was having problems with anger control. In 2007, he confronted a Brazilian youth who had dated his younger sister and punched him in the face. In May 2008, his other sister said her husband was cheating on her and beating her up. Tamerlan flew across the country to "straighten up the brains" of his brother-in-law. Although his future American wife converted to Islam and started wearing a hijab in 2008, her conversion did not prevent domestic fights in which he would "fly into rages and sometimes throw furniture or throw things." In 2009, he got involved with another woman, allegedly assaulted her, and was arrested for aggravated domestic assault and battery (Wikipedia, 2013). In 2010, as an aspiring boxer, he entered his opponent’s locker room before the fight to taunt him and the man’s trainer (Sontag et al., 2013). In addition to his bad temper, Tamerlan had other behavioral problems. After his marriage, he stopped working and lived off his wife (who had to put in 70-80 hour weeks as a home health aide) and Massachusetts welfare services (to the tune of over $100,000). “He wasn’t really willing to work. That in my mind made him an unsuitable husband. She worked like crazy for him” (Fisher, 2013). The Boston bombers are often presented as a case of failed assimilation. In reality, they and their family had already been assimilated into modern secular culture. This was, of course, the authoritarian modernity of the Soviet Union, which severely repressed premodern patterns of behavior, i.e., religion, vendettas, child marriage, seclusion of women, etc. The Soviet Union also dealt harshly with what results when premodern impulses are expressed in a modern social setting, namely “hooliganism” and “parasitism.” By emigrating to the U.S., the Tsarnaevs entered a much freer environment that would eventually enable them—first Tamerlan and then other family members—to return to a cultural system that could bring some control back into their lives. This phenomenon has been observed not only in immigrant communities of the U.S., but also in those of Western Europe. Islamism has arisen primarily in the relatively free environments of the West, and not in the more authoritarian ones of the Middle East. In many cases, the West has helped radicalize individuals who initially come as students or immigrants and later return to promote Islamism back home. Furthermore, when we in the West intervene to overthrow secular dictatorships in that region—Hussein in Iraq, Mubarak in Egypt, Gaddafi in Libya, Assad in Syria—we unwittingly create optimal conditions for the emergence of radical Islam. We refuse to countenance the possibility that some kind of authoritarianism is necessary to make those societies work. The choice is really whether it will be secular authoritarianism or the ultra-religious kind. Another example is Chechnya itself. The first and second Chechen wars (1994-1996, 1999-2000) are usually seen in the West as a reaction to political circumstances, specifically the dissolution of the Soviet Union and the inability of its successor state, the Russian Federation, to maintain political control. The Chechen people thus saw an opportunity to reclaim their independence and took it. There was also, however, a prior weakening of cultural control that can be traced farther back to the late Soviet period. This was a time when official Communist ideology had become little more than an empty shell and when people began to emulate Western ways. School and parental discipline slowly became more relaxed, under the influence of beliefs that children start off good and are made bad by excessive control. Education reform in the Russia Federation after 1991 was an orchestrated attack on what was now perceived as the ideologically impure Soviet system of education, with its ubiquitous administrative centralization, a bankrupt communist ideology and bureaucratic inefficiency. Hurried attempts were made to Westernize Russian education. […] In Russia, these education reforms represented a radical shift in ideology, knowledge and values and appropriately typified the inevitable outcome of the global Weltanschauung of modernity. Recent decades have brought a relaxation of external controls over behavior. On the one hand, people from the rest of the world have been emigrating in growing numbers to the West, where behavioral norms are more relaxed. On the other hand, the West has been exporting these same norms to the rest of the world. The situation wouldn’t be so serious if everyone everywhere had the same internal controls over their behavior. But they don’t. Some societies have gone farther than others along the trajectory that leads to cultural modernity and, in time, behavioral modernity. Wherever strong States have imposed a monopoly on the use of violence, there has been a consequent pacification of social relations, the result being increased trust in strangers and a freer, more open society. This transition also affects the way societies are organized. In premodern societies, the market economy is secondary, being limited to special places at special times, i.e., marketplaces. In modern societies, the market economy is primary and encompasses almost all possible transactions. In premodern societies, kinship is primary, being the main organizing principle of social relations. In modern societies, kinship has little importance beyond the bounds of each nuclear family. The transition from premodernity to modernity in turn leads to a suite of behavioral changes: higher anger thresholds, a more future-oriented time orientation, and a stronger work ethic. Wherever the social environment has long been pacified, these internal behavioral controls have largely taken over from external cultural controls. Where pacification has been more recent, “correct behavior” is enforced largely through external controls. Not enough time has elapsed to bring behavioral predispositions into line with cultural modernity. The above analysis may seem unacceptable to most of us. Current discourse allows only two possible causes for the Boston bombings: social exclusion or radical Islam. The “social exclusion” explanation is the weirdest. 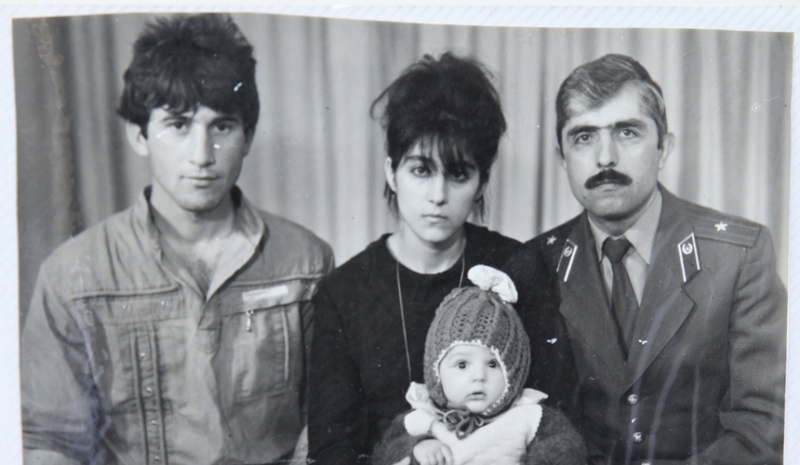 The Tsarnaevs were accepted as Chechen refugee claimants even though they had spent almost their whole lives outside Chechnya and were in no danger. Tamerlan himself was welcomed with open arms into an American household despite his uncontrollable temper and unwillingness to work. Such indulgence is unusual, and it’s hard to avoid the conclusion that Tamerlan benefited from an almost pathological fear of seeming to be xenophobic. The other possible cause, radical Islam, has become the leading explanation, largely by default. But what if Tamerlan had not been radicalized? There would have been no Boston bombings, yes, but sooner or later he would have committed an act of murder or attempted murder (assuming he had not already done so before the bombings) and he would have almost certainly remained a tax consumer, and not a tax payer. In this latter respect, Tamerlan was not unusual. If we examine immigrant communities of similar backgrounds, their work ethic tends to weaken as they become more and more assimilated. In the 1960s and 1970s, the Turkish population in Germany had a labor-force participation rate higher than that of native Germans. Now, as we enter the 2nd and 3rd generations, the picture has completely reversed: 40% unemployment in Berlin and other cities; welfare dependency three times the national rate; and an average retirement age of 50 (Caldwell, 2009, p. 36). This is the paradox we see with many non-European immigrants: the more they become assimilated, the more different they become. They shed the cultural controls that formerly kept their behavior in line. What, then, will be done? Nothing, probably, other than that the U.S. will become more and more a society under surveillance. One thing that used to make American society so exceptional was its high level of personal security and personal responsibility. Americans didn’t have to fear being sucker-punched by some guy with a problem. They didn’t have to closely monitor the body language and facial expressions of anyone they happened to meet. And they didn’t have to worry about other people abusing their trust and generosity. In other countries, people do. And that’s a big reason why those countries are less productive and, hence, less wealthy. Caldwell, C. (2009). Reflections on the Revolution in Europe. Immigration, Islam and the West, Doubleday. Mikus Kos, A. (2009). Psychosocial programmes can also diminish or destroy local resources, in E. Baloch-Kaloianov and A. Mikus Kos (eds). Activating Psychosocial Local Resources in Territories Affected by War and Terrorism, IOS Press. Sontag, D., D.M. Herszenhorn, and S.F. Kovaleski. (2013). A battered dream, then a violent path, April 28, The New York Times. Zajda, J. (2005). “The educational reform and transformation in Russia,” in J. Zajda (ed). International Handbook on Globalization, Education and Policy Research, Springer.